Overcome the pain of heartbreak and personal loss by doing the opposite of the advice everyone else gives you. To become a solid person when you hurt the most, you have to lean into the pain. 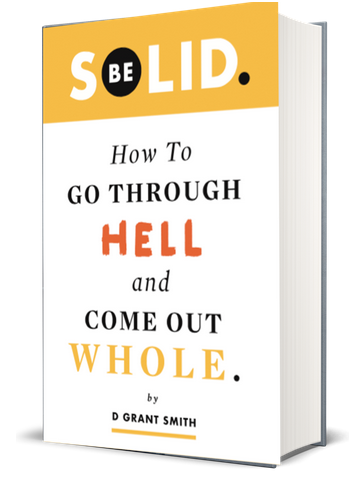 This new book shows you how to become your best self after experiencing your worst heartache. Sign up to get more info. D Grant Smith will use the information you provide on this form to be in touch with you and to provide updates on the book and other programs. Please let us know all the ways you would like to hear from us.